We’re living longer, healthier lives than ever before, and like fine wines we are better with time. But can the same be said of our homes? As homes age, new challenges arise that require new solutions. Hazards in the home can lead to falls and other accidents and represent serious health challenges for one in three people over the age of 60. We need to make our homes functional, attractive, and safer. 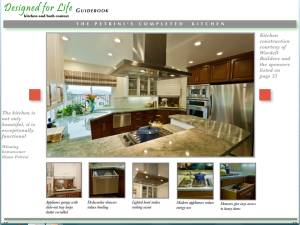 The Designed for Life public awareness campaign demonstrated how today’s new designs and technologies can meet our new needs using concepts such as Universal Design for aging in place. The San Diego project was a community-wide collaboration of more than 40 businesses and organizations led by three nonprofit agencies: ReVisions Resources, AARP, and the San Diego Chapter of the American Society of Interior Designers (ASID). Inspired by AARP’s national Recession Remodel contest, “Designed for Life” challenged San Diego’s best designers to find creative and innovative aging-in-place solutions for homeowners in our area. 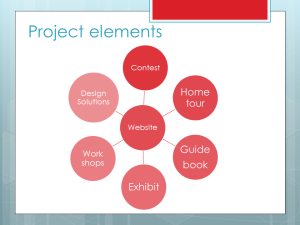 Educational components included county wide workshops at public libraries, two half-hour television programs that aired more than a dozen times, and exhibits of design solutions created for contest finalists. Nine designers with aging-in-place expertise volunteered to participate. Two hundred homeowners shared their concerns and wishes for aging in place. Attendance at programs featuring aging-in-place solutions was at capacity. Program sponsors donated their services and products for a universal design/aging in place redo. More than 20,000 visitors were able to view these exhibits at libraries and online and 1M were reached through the media. Winning homeowner was Diane Petrini and her three-generation family, residents of a single-story home in a master planned community built in 1979. Petrini’s challenge for her designer was to address her low vision needs. Her winning designer, Lindsay Hester, ASID, not only addressed this challenge, but met other wishes too for the family that loves to cook together. These include doubling counter space and usable storage, without expanding the kitchen footprint. 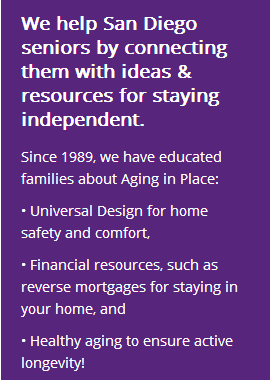 To learn about the contest winners, see “Made to Fit for Aging in Place“. The sponsor built makeover was made possible by kitchen underwriter Wardell Builders and their team of sponsors. 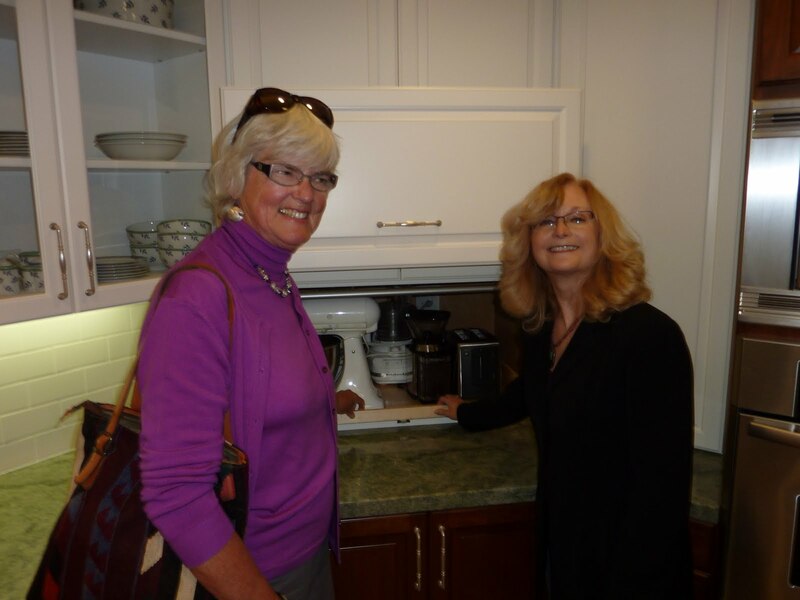 The public was able to experience this universal design makeover for aging in place as part of ASID’s annual Spring home tour. A Designed for Life Guidebook about the universal design features incorporated into the renovation was given to all attendees. The campaign was featured at the Universal Design Summit 5 on May 6-8, 2013 in St. Louis and in the Fall 2012 issue of ICON, the magazine of the American Society of Interior Designers: Meeting Untapped Needs: Remodel competition joins designers with the community. The San Diego Foundation, San Diego Home/Garden Lifestyles magazine, PACE TV, Friends of San Diego Architecture, San Diego Fall Prevention Task Force, San Diego Public Library, San Diego County Library, SDG&E’s Energy Innovation Center. Wardell Builders and their team of sponsors: Arizona Tile, Barbara Reed Professional Cleaning Services, Bill Howe Plumbing, Cabinetry Design, Chism Brothers Painting, Daltile, Dixieline/Probuild, Fixtures Living, G Marble & Granite, Infrastructure Design Group Inc., Kiva Kitchen and Bath Appliances, Kohler, Lessler’s Draperies and Design Inc., Lightworks Architectural Lighting, Lucia Painting and Fire Prevention Inc., Performance Drywall & Insulation, R & R Custom Builders, San Diego Hardware, San Diego Marble & Tile, Star Tile Inc., Titan Excavating, and Tutto Marmo.